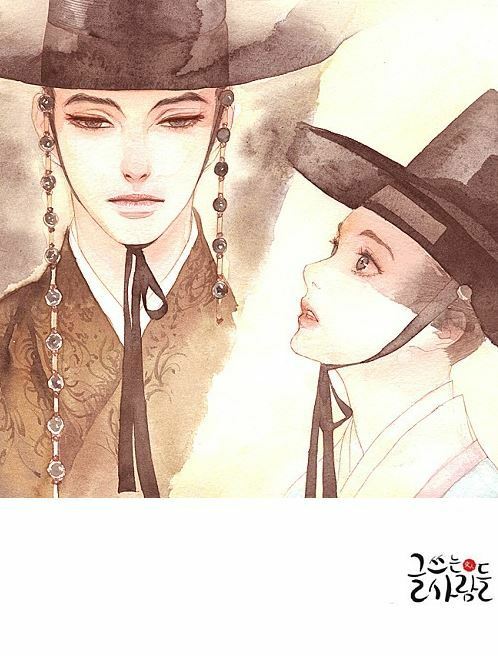 As paperbacks move over to make room for e-books, what’s become popular to readers in Korea is the serialized romance novels published online. Last year’s hit TV drama “Moonlight Drawn by Clouds” was first a weekly web novel before it was made into a TV show. Celebrity actor Park Bo-gum aside, it was clear to industry insiders from the beginning the show would be a success, based on the staggering 50 million accumulated views the original novel had garnered. During the time the drama aired, the novel raked in 500 million won ($418,000) in profits through a pay-per-read deal. Accessible on platforms such as Naver, KakaoPage, Joara, Munpia, Bookpal and more, online romance novels are raking in as much as 50 million won a day for their respective online platforms in Korea. Most of the times, anime are underrated a lot. The quality and storyline of some of these anime will leave, many movies, TV shows, etc. far behind. There are some anime, who are in a class of their own. They have withstood their ground for many years and are among the best. Here, I have a compiled a list of top 5 anime that will leave you in bewilderment. An accurate and some may say, the better adaption of the video game, Steins; Gate has made its place among the elite. The anime is based around the central idea of time travel. The plot revolves around Rintaro Okaabe (mad scientist), who solves the mystery of time travel, by sending text messages in the past with his assistant, Kurisu Makise. SERN an organization that conducts time travel learns about it. It sends people to obtain the method and eliminate everyone. He finds that he has to delete the original D-mail to return to his timeline. However, in that timeline, Kurisu dies. Okabe now has to go through the incredible turn of events. One of the best known and most watched anime. Arguably, one of the most mind-blowing plots, ever made. A genius high-school finds a notebook, through which he can kill anybody he wants, as long as he knows their names. He comes in contact with Ryuk (Shinigami), who leans the Light (Kira) plans to rule over criminals, through this death note. However, a major obstacle in Light’s path is L (real name: unknown). The following turn of events will leave the viewer baffled, as Ryuk enjoys watching Light embark on this journey. A candidate for the best anime ever, Code Geass depicts Japan (now known as Area 11), which is conquered by the Great Britain. The residents are now known as Elevens, who are kept in control by powerful robots, known as Knightmares. However, Lelouch, the dark prince, stand up against the government with sheer will. In to build an ideal world, he uses the power of Geass. His friend, Suzaku Kururugi, inspires to live an honest life, demolishing evil from the world. The adventures from here on will blow the mind of the viewer. Number 1 anime, on myanimelist, Fullmetal Alchemist is based on two brothers. The brothers want to restore their bodies, after attempting a forbidden alchemy, to revive their dead mother. Edward who lost his two limbs wants to restore the body of this younger brother, Alphonse. The soul of Alphonse has been bound to a metal body, As they search for the powerful stone, they uncover mind baffling plots, beyond the viewer’s comprehension. An amazing plot and awesome character designs and animations make AOT a joy to watch. It setups a world, where humanity is striving to survive within walls built for protection against titans. However, the wall gets breached, and Eren’s mother is eaten by a titan. As the story moves on, the truth about the Titans is made clearer but not fully revealed, till now. Now, Eren, Mikasa, and Armin must continue their struggle towards the truth. Many people tend to underestimate Pro Wrestling, thinking it is just a circus where some strong athletes pretend to hit as the audience screams their names. The wrestler’s prejudice is that they are gorilla full of steroids and the fans are a mass of ignorant rednecks full of beer, but that is not the case. Wrestling fans are ordinary people, and wrestlers are often best-selling (Mick Foley, Chris Jericho), rock musicians (Chris Jericho) and financial analysts (JBL). The discipline story of today is Katsuyori Shibata’s story. Shibata in 2005 was one of the leading prospects of New Japan Pro Wrestling in Japan. Unfortunately, the period was not good for business. The office was interesting to propose a mix of wrestling and MMA and to show off fighters against the fighters. The wrestlers were all defeated, and they had a severe loss of credibility while the fighters were terrible wrestlers. The audience was rejecting the product, and the hopes of the office were on three young prospects, Shibata, Hiroshi Tanahashi and Shinsuke Nakamura. In that period, Shibata decided to abandon the NJPW to spend full time at the MMA, leaving Tanahashi and Nakamura alone in the challenging role of the only attractions. Shibata’s career in MMA was not exciting, few wins and so many defeats and in 2012 he returned to NJPW. Shibata was in an awkward position, all the backstage and executives did not trust him, and they had a grudge for his departure in 2005. “He ran away, and I had to put the federation on my shoulders,” said Tanahashi in his book. Shibata had to regain the confidence of everyone. Shibata did this with discipline and dedication. Katsuyori put the 100% of his commitment to each match. His style is very physical, with slaps, kicks, and headbutts. His body often had injuries, but Shibata always continued to fight and regained the favor of the fans. The match is the best in Shibata’s career, with the wrestler fighting with courage and discipline. Unfortunately, it was his last match, because during the match Shibata hits Okada with a strong headbutt. Shibata’s head started to bleed, and he lost the fight minutes later. In the backstage Shibata had health problems and a partial paralysis of the right side of his body. Shibata was brought to the hospital, and the diagnosis was “subdural hematoma,” caused by dehydration and the headbutt. Shibata needed several operations to his head and began a painful rehabilitation. His body had to be run by electric shocks and very painful therapies. Shibata wrote that every morning he was ready to give up, but his desire to defeat the problem became his primary motivation, and his doctor was amazed by his discipline and determination. 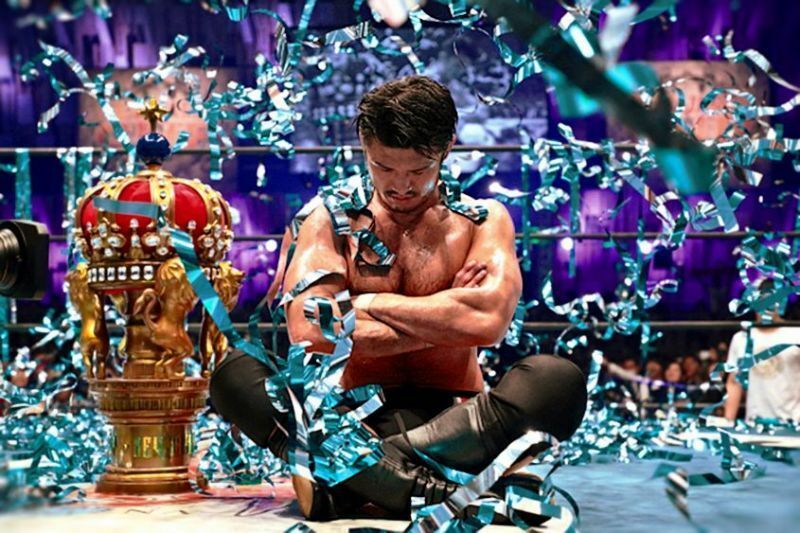 Shibata returned to NJPW during the 2017 Climax G1 tournament finale to greet fans declaring “I’m alive, that’s all!”. Shibata is determined to return to fight, and with his determination, he will come back really soon. There has been a steady and overwhelming increase in popularity of anime, in the last decade or so. 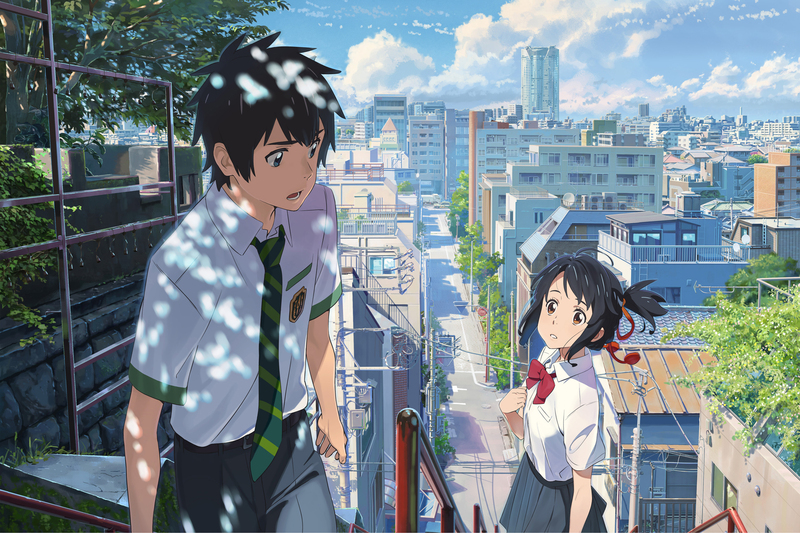 With such quality and viewership, Japanese animated films have now become a “thing”. Want to know, which animated movies to watch? So, here I have gathered a list of top 10 Japanese animated film of all time, based on recognition and reviews. One of the best anime movies of all time and recipient of many awards. It is filled with romance, thrill, emotions, goosebumps and much more. Two strangers, Mitsuha and Taki, are connected magically and strangely, as they irregularly switch bodies with each other. Separated by time and space, will they ever be able to meet to each other? Another top of the list animated movie, bound to keep you occupied. Based on the notorious issue of bullying, it embodies the struggles of a deaf girl named Shoko. She is bullied by a boy called Shoya and her friends. However, later on, Shoya decided to make amends for his behavior in the past and become friends with her. A teenage girl finds an object that gives her the ability to travel to the time, and she tries to use it to her advantage. Composed of a mind-blowing plot-twist, she finds that her long-time friend is also a time traveler and came from the future. Now, she is in love with him, but he has to leave soon to prevent specific consequences. This movie is a fantastic piece of art, as the animations are excellent. The film setups a dark world, fallen under the shadows of war. Japan is divided into two unions. In this fuss, a scientist tries to revive his childhood friend. Based on the fourth Haruhi Suzumiya novel, this movie will surely fail to disappoint you. The movie starts with a high-school boy named Kyon, who one morning finds that his reality has been changed altogether. The next turn of events is a joy to watch. An amazing concept and exceptional animations. The plot revolves around Patema and Age, who embark on a journey to find out why and how gravity has inverted, due to an experiment. A wonderful mixture of fiction and emotion. A girl named Hana marries a wolfman. The husband dies, later on. While new adventures await their children. In this animated film, a 10-year old girl finds herself trapped in a strange place. Now, she must work there to free herself and her parents. A romantic drama movie, consisting of three episodes. It based on an era, where telephones are not typical. A beautiful romantic story of Takaki and Akari makes this movie impressive. This movie is a piece of work. Motoko Kusanagi is in pursuit of a hacker who hacks the minds of cyborg humans. She wants to know her identity, by meeting this pirate. She wants to know what would she be like if she had more human traits than usual. Unsolved Mystery of Korea, like Jack The Ripper or the Zodiac Killer. with their bodies being left in rural areas such as canals, rice paddies, and the hills. the statement of just one survivor seeming to suggest him being a young, slim man with a height of around 170cm. The suspect list grew to as large as 20,000+, and despite immense efforts, the killer evaded capture. that the statute of limitations was lifted in July 2015 with the cold case still being investigated to this day. The story inspired so many Drama and Movies, here are the top 5. The movie is directed by Bong Joon-Ho with Song Kang-Ho and Kim Sang-Kyung. Two policemen are trying to stop this serial killer, but they have no evidence, and they do not know who to look for. Can they prove the guilt of their only suspect? One of the most rewarded K-Drama of the last years. story for an unmissable drama. somebody is accused of all crimes, with precise details and specific proofs. he is talking to an impostor? be able to capture him? A Drama that has raised high ratings and positive critiques. 1987, Detective Park Kwang-Ho is fighting with the serial killer inside a tunnel, but he is defeated, and the killer escapes. When he wakes up, he discovers that he is in 2017! He can come back to his time only arresting the killer. A beautiful drama, with a lot of plot twists and great characters. manage to bring an array of exciting, well-written and brilliantly acted tales with satisfying story arcs and conclusions.